Manual therapy is an examination- and treatment technique that aims to discover an imbalance in the musculoskeletal system and to treat it. Manual therapy does not prioritize the treatment of symptoms but the treatment of the cause. 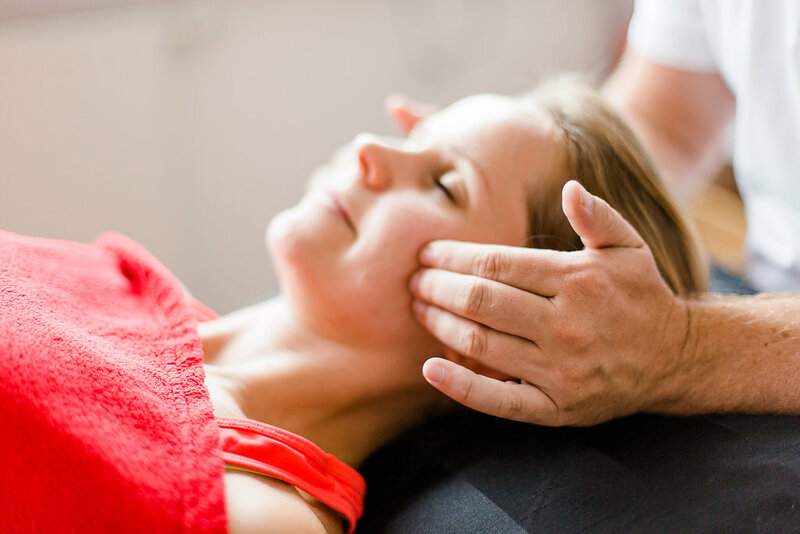 Specific manual techniques on joints, muscles, connective- and nervous tissue as well as organs, concludes the holistic treatment offers. 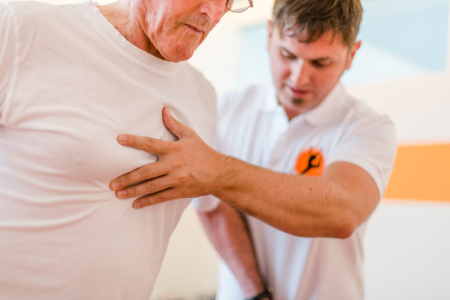 Manual therapy is frequently applied in cases of malfunctioning of joints, for example backaches. SpartaNova is a scientifically sound system to prevent injury, in rehabilitation and during training. The athlete or the patient is tested individually by applying a standardized procedure. Muscular dysbalance, restrictions in movement and disorders in functional movements are considered. The analysis is graphic and a personal training plan is developed. The jaw joint is a very complex joint of the human body. 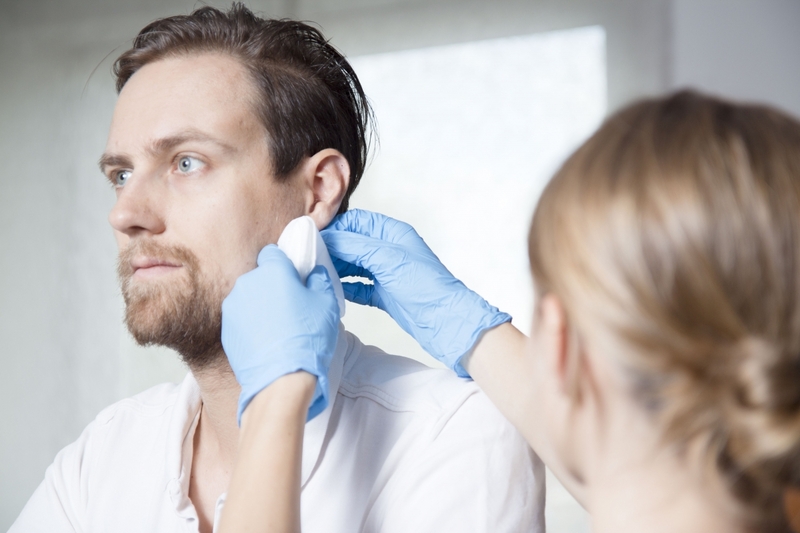 The physiotherapeutical jaw joint therapy is indicated for instance when there is pain in the jaw joint, teeth grinding, jaw clicking, difficulties with opening the mouth, headache or tinnitus. Yoga is a centuries-old Indian doctrine with a holistic approach that for instance includes physical exercises (Asanas), breathing exercises (Pranayamas) and meditation. The positive effects of Yoga on physical and psychological health have been scientifically proven. For some illnesses, such as neck- or back pain, chronic headache, circulation problems as well as sleeping disorders, fear and depression, Yoga can ease such symptoms. Yoga exercises can be incorporated into physiotherapy in addition to other treatment methods. Sports physiotherapy treats overstrain from training or from competition and the musculoskeletal system is prepared for intense straining. Before the competition the vigilance and concentration is promoted and after the competition, the regeneration is prioritized. Biofeedback aims to audiovisually demonstrate autonomous processes; central physiological parameters (moisture of the skin, muscle tension, temperature, heart rate or brain waves) are shown graphically. The perception of vegetative, bodily changes (autonomous nervous system) allows or eases the deliberate self-control of the bodily functions and provides optimal requirements for healing. Fasciae surround all tissue of the human body and form a functioning unit. The aim of the treatment is to bring the fasciae back to a natural state of elasticity so that tensions are loosened, pain is soothed and the posture normalized. To treat neurological illnesses, for instance Parkinson’s disease, stroke or multiple sclerosis, physiotherapeutical concepts are applied that aim to improve agility, strength, perception and most importantly the functionality of the patient. The aim is to improve daily activity and quality of life. The manual lymph drainage is a treatment technique that aims to decongest and get the drainage system working again. In addition, the lymph drainage reduces pain and relaxes the muscles. Golf physiotherapy has the purpose of prevention, counseling and treatment and rehabilitation of ailments specifically related to golf, of injuries and after surgery of golfers. 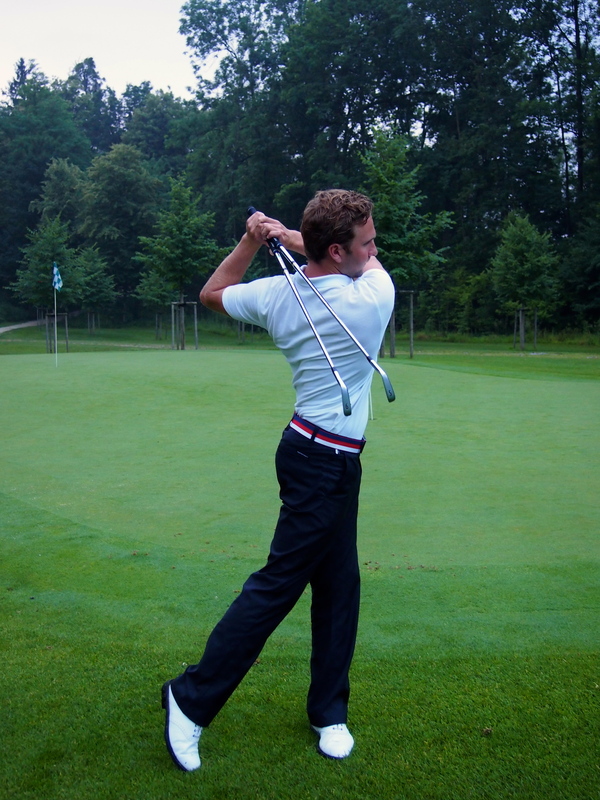 Following the precise diagnosis, the therapy is adapted to the patient’s needs and the golf swing is improved by cooperating with PGA Pro Benedikt Bernreiter (Salzburg). The methods of sport psychological training support athletes in reaching the ideal mental state of performance. It is frequently difficult to find the right balance between activity and regeneration, be it in sports or in our daily life. The vitals monitor is a preventative tool to improve the wellbeing and the performance of a health conscious individual and to optimize the training of performance- and mass sports oriented athletes. 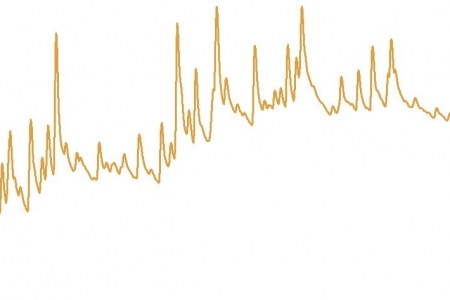 With the help of mobile EKG-sensors, the heart rate variability is analyzed. The current regeneration status, the stress level, the biological age and a training recommendation that is adapted to this, can be derived.